Speed really is the name of the game in this latest all-new action-packed Thomas & Friends™ CGI DVD special, ‘Go Go Thomas’, on sale from Monday 11th March RRP £12.99. So climb aboard with Thomas & Friends as it’s all systems a go go! Thomas and his friends are charged up and ready to Go, Go! Thomas shows Gordon that being quick is as useful as being strong, while Flynn, the fire engine, learns to put his pride aside and race to the rescue. Thomas causes some trouble on the tracks trying to be a model engine for a new photographer, while Spencer’s on the move, ignoring warnings about electric engine Stafford’s battery. Thomas pumps his pistons to Misty Island to help fix Ol’ Wheezy. Will the number one blue engine be on track and on time? 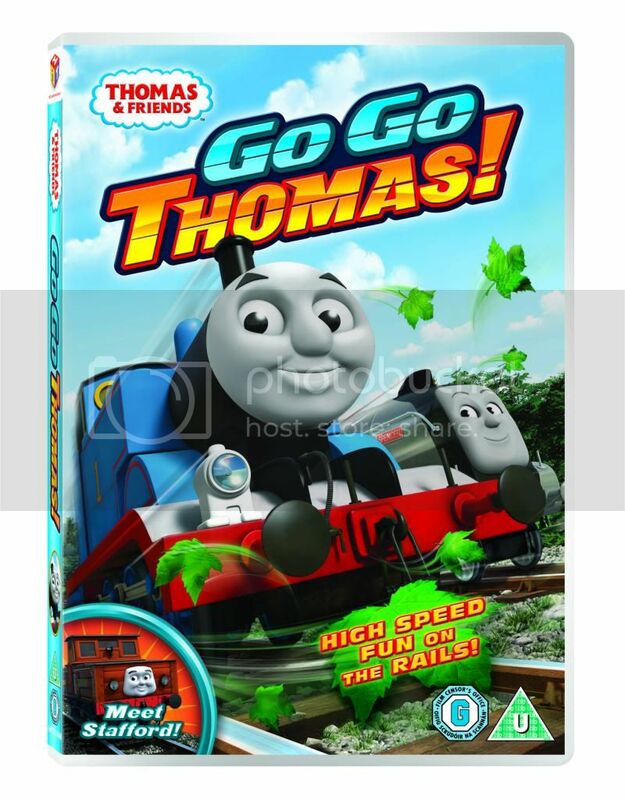 I have one Go Go Thomas DVD to giveaway. To enter leave me a comment with who is your favourite Thomas & Friends train, then complete the Rafflecopter widget to confirm your entry and for additional entry options. 4. One entrant will win a Go Go Thomas DVD subject to availability.